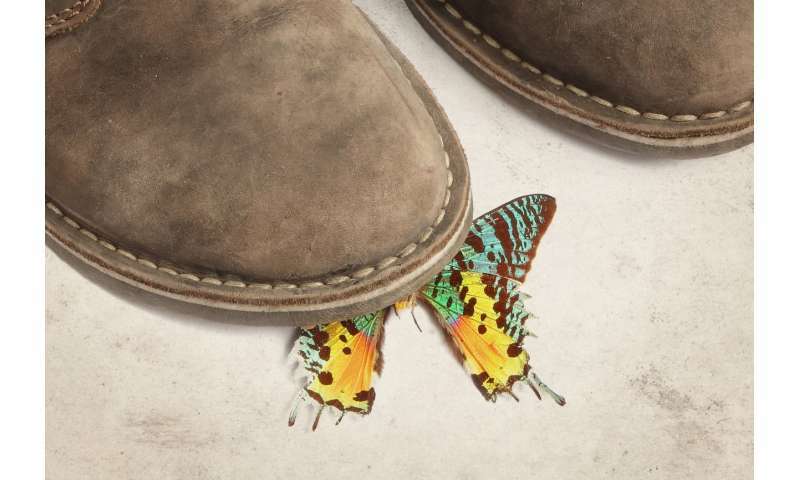 Would stepping on the first butterfly really change the history of evolution? Martha Jones: It's like in those films: if you step on a butterfly, you change the future of the human race. The Doctor: Then don't step on any butterflies. What have butterflies ever done to you? Science fiction writers can't seem to agree on the rules of time travel. Sometimes, as in Doctor Who (above), characters can travel in time and affect small events without appearing to alter the grand course of history. In other stories, such as Back To The Future, even the tiniest of the time travellers' actions in the past produce major ripples that unpredictably change the future. Evolutionary biologists have been holding a similar debate about how evolution works for decades. In 1989 (the year of Back To The Future Part II), the American palaeontologist Stephen Jay Gould published his timeless book Wonderful Life, named after the classic movie that also involves time travel of sorts. In it, he proposed a thought experiment: what would happen if you could replay life's tape, rewinding the history of evolution and running it again? Would you still see the same movie with all the evolutionary events playing out as before? Or would it be more like a reboot, with species evolving in different ways? Gould's answer was the latter. In his view, unpredictable events played a major role in natural history. If you were to travel back in time and step on the first butterfly (reminiscent of the 1952 short story A Sound of Thunder by Ray Bradbury), then butterflies wouldn't evolve ever again. This is supposedly because the variation we see in nature—the many different physical features and forms of behaviour that lifeforms can have – is caused by random genetic events, such as genetic mutations and recombination. Natural selection filters this variation, preserving and spreading the features that give organisms the best reproductive advantage. In Gould's view, because the series of mutations that led to the first butterfly were random, they would be unlikely to occur a second time. But not everyone agrees with this picture. Some scientists defend the idea of "convergent evolution". This is when organisms that aren't related to each other independently evolve similar features in response to their environment. For example, bats and whales are very different animals, but both have evolved the ability to "see" by listening to how sound echoes around them (echolocation). Both pandas and humans have evolved opposable thumbs. Powered flying has evolved at least four times, in birds, bats, pterosaurs, and insects like butterflies. And eyes have independently evolved at least 50 times in animal history. Even intelligence has evolved multiple times. The famous palaeontologist Simon Conway-Morris was once asked if dinosaurs would have become intelligent if they were still here. His answer was that "the experiment has been done and we call them crows", referring to the fact that birds, including the very intelligent crow species, evolved from a group of dinosaurs. Convergent evolution suggests that there are a few optimal ways in which species can adapt to their environment, which means that (if you have enough information) you could predict how a species is likely to evolve over a long time. If you were to step on the first butterfly, another butterfly-like insect will eventually evolve because other mutations will eventually produce the same features that will be favoured by natural selection. A recent study in the journal Current Biology seems to tip the scale in favour of convergent evolution. This study investigates how stick spiders have evolved in the Hawaiian Islands and provides evidence for different, isolated groups of animals evolving the same features independently. Islands are often referred to as natural laboratories because they are effectively closed environments. Every time a species colonises a new island, a new independent experiment on adaptation takes place. An iconic example is the finches that have adapted to the various food sources on each island of the Galapagos, a fact that helped Charles Darwin develop his theory of natural selection. Some of these populations have even been caught in the act of becoming new species of finch. 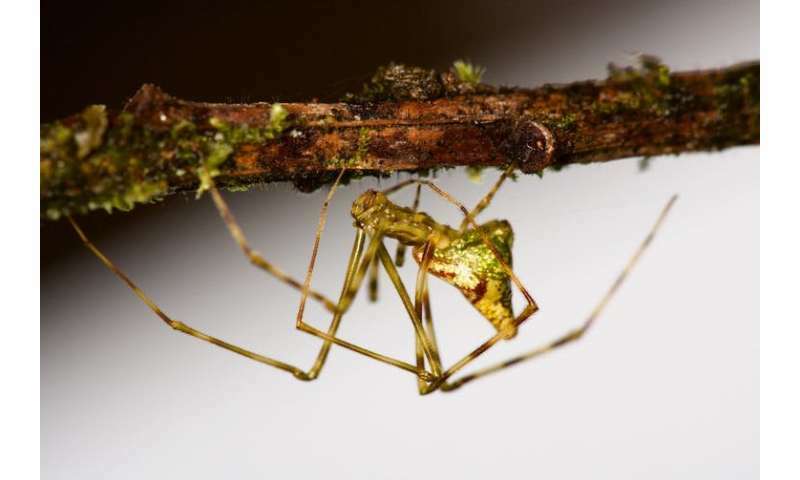 Most of the stick spiders on the Hawaiian Islands have gold, dark or white body colouring as camouflage to hide from predators, such as birds. The scientists used the DNA of the various spider species to reconstruct the history of how they evolved. They showed that the dark spiders and the white spiders have repeatedly evolved from ancestral gold spiders, six times in the case of the dark spiders and twice in the case of the white ones. This study is a remarkable example of convergent evolution taking place in the same geographical area. It's reminiscent of the classic studies on Anolis lizards by evolutionary ecologist Jonathan Losos, who noticed lizards on different Caribbean islands had independently evolved the same adaptations multiple times. All this suggests that lifeforms living in a specific environment over a long enough time period are likely to evolve certain features. But the evidence for convergent evolution doesn't rule out the role of chance. There is no doubt that mutations and the biological variations they create are random. Organisms are a mosaic of multiple traits, each with different evolutionary histories. And that means whatever evolved in the butterfly's place might well not look exactly the same. The evidence isn't conclusive either way, but maybe both chance and necessity play a role in evolution. If we were to run the tape of life again, I think we would end up with the same types of organisms we have today. There would probably be primary producers extracting nutrients from the soil and energy from the sun, and other organisms that move around and eat the primary producers. Many of these would have eyes, some would fly, and some would be intelligent. But they might look quite different from the plants and animals we know today. There might not even be any intelligent two-legged mammals. So just in case you ever find yourself travelling back in time, don't step on any butterflies. Is the outcome of evolution predictable?